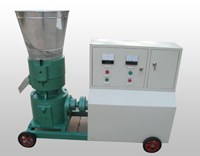 The sawdust pellet machine can make pellets from a variety of biomass raw materials, such as sawdust, straw, rice husks, peanut shell, bagasse, alfalfa etc. As we all know, the above biomass raw materials are neither energy lasting nor convenient to transport or store. However, sawdust pellets, which have high density, can release more energy. These pellets are cleaner and safer compared with other fuels, and they are not only widely used for heating in winter, but also for cooking at home. You can find them in kitchens, fireplaces, animal bedding and wood stoves. Besides, they reduce environmental pollution caused by coal, heavy oil and natural gas, and they are the main fuel of industrial boiler. Our sawdust pellet machines do meet all the points above. 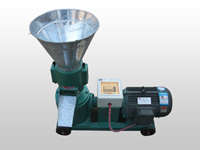 In fact, there are no better pellet mills in the market. GEMCO is a leading Chinese manufacturer and supplier of sawdust pellet mills, and 80% of its products have been exported. It’s no wonder that you find GEMCO sawdust pellet making machines in your own city, and probably in the house of your neighbor or friend. GEMCO offers free and experienced technical instruction, satisfactory after sales service, together with high quality pellet mills. 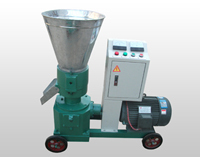 You can rest assured on GEMCO sawdust pellet mill. Now it’s your turn to buy one and have a try!